In less than two months Joss Whedon's Avengers: Age of Ultron will blast into theaters with what's sure to be the most epic onscreen Marvel showdown to date. 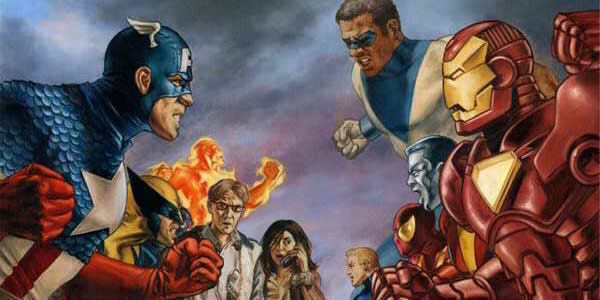 But with Captain America: Civil War slated for a mid 2016 release, viewers are going to be treated to a massive follow-up battle that will set the stage for an unprecedented MCU Phase 3. While the bulk of Steve Rogers' team has already been confirmed for the third Cap installment, it wasn't until now that we got confirmation that Hawkeye will also show face. 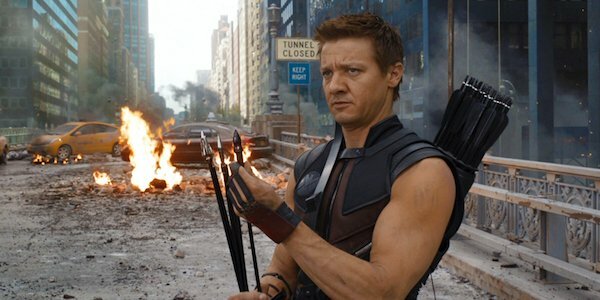 We know Captain America (Chris Evans), Iron Man (Robert Downey Jr.), Black Panther (Chadwick Boseman), Falcon (Anthony Mackie), The Winter Soldier (Sebastian Stan), Black Widow (Scarlett Johansson), Spider-Man (unknown) and likely Crossbones (Frank Grillo) will be appearing but thus far have only heard rumors that Jeremy Renner's Hawkeye will be a part of the massive battle set to go down in Captain America: Civil War. Now, thanks to a THR, we officially know Jeremy Renner (Hawkeye) has also been confirmed with said shooting to begin this spring. This is likely good news for Renner, who has seemingly been as much in the dark as the rest of us regarding his character Hawkeye/Clint Barton's inclusion in the film. Last we heard (a few months back) the actor not only revealed his having no clue as to whether he'd be a part of things in Cap 3, he further shared that he hadn't yet had "any official conversations" on the subject. Renner's being in the dark about his character's part in Captain America: Civil War isn't all that shocking, however, as we've come to learn it's critical in minimizing plot spoiler information when dealing with movies of this magnitude. If one thing is for certain, Hawkeye, who wasn't included in events of the last Cap installment, The Winter Soldier, has got to be thrilled to be back. I can speak for myself in saying it will definitely be exciting to see which side he will be on in the aftermath of the Superhero Registration Act. Will he align with Tony Stark and the rest of the pro-registration forces or will he join the anti-reg movement led by Rogers, Falcon and others? Only days ago we saw Hawkeye's solo Avengers 2 poster arrive with the superhero looking more somber than ever. Prior to today one might conclude, with the latest Avengers: Age of Ultron trailer dropping hints there may be a major casualty in the upcoming film, that it could be hinting at Hawkeye's not surviving. Knowing he will indeed appear in Joe and Anthony Russo's Captain America: Civil War is, however, proof positive to the contrary. Get ready for Avengers: Age of Ultron, hitting theaters May 1, 2015. This, along the Paul Rudd-led Ant Man, will certainly tide us over until 2016's Phase 3 launch with Cap 3.